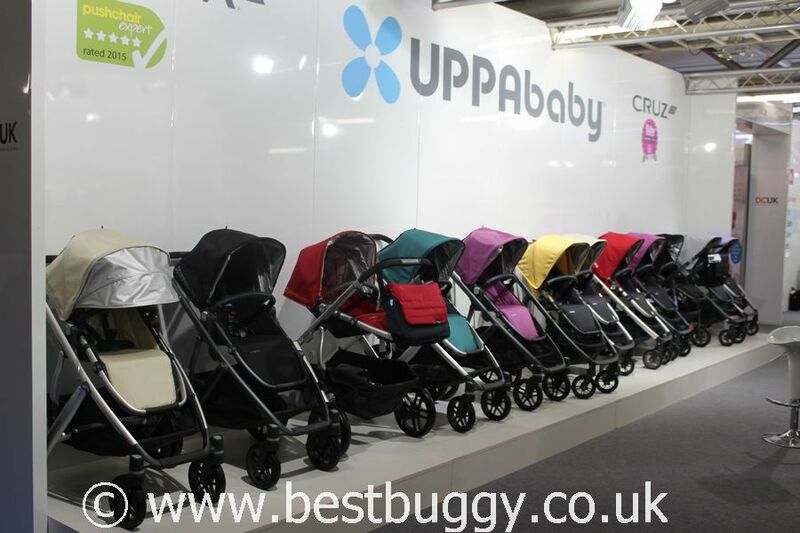 We enjoyed having a look at the colourful UPPAbaby stand at the Harrogate Nursery Fair. We had already had the opportunity to view and try out the new UPPAbaby Vista in tandem mode – with the Rumble seat and carrycot – at the recent London Press Day here. 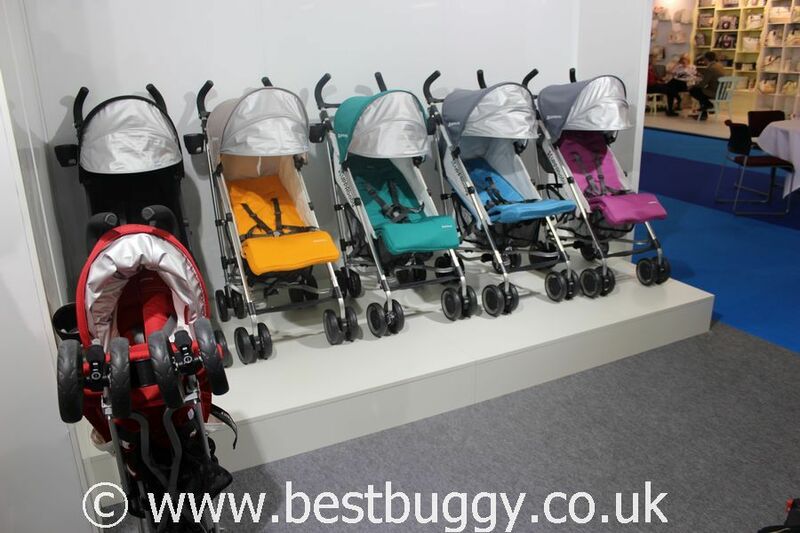 However, it was fantastic to see all the beautiful colours in the UPPAbaby range. As the photo shows, on Day 2, we were inspired to open our UPPAbaby Vista 2015 box and try our new 2015 Vista out. We had previously, some years ago, had an UPPAbaby Vista. However the news of the new Vista and new reclining Rumble seat, along with the ability to be able to upgrade to a tandem for siblings, for just £40 for a pair of adaptors is an incredible bargain. This meant that we HAD to buy another Vista and Rumble Seat set up, to review again on Best Buggy! The Vista was fantastic first time round, so we have high hopes for the new Vista too. The UPPAbaby Vista comes with a carrycot and seat unit in the box, and both of these can be used for a baby and toddler combination. 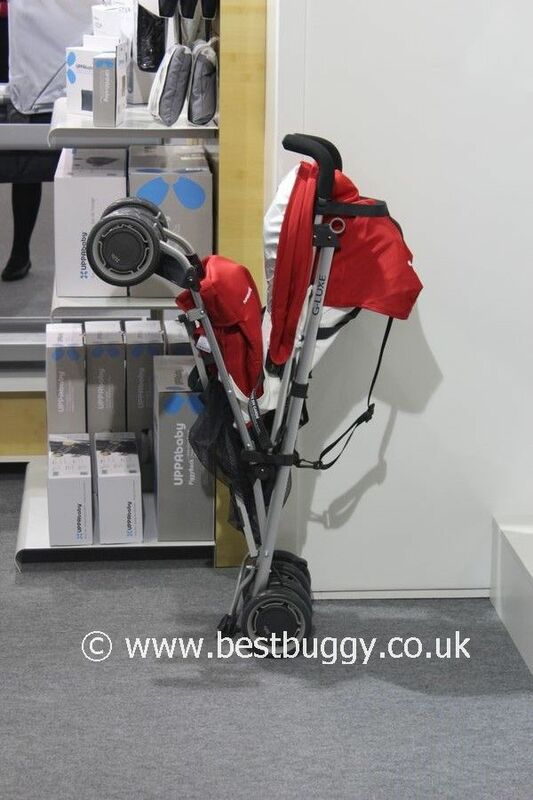 This makes the UPPAbaby Vista a really sensible option for anyone who is planning a second child, or who has an age gap where the toddler is likely to be walking by the time the baby is 6 months old. If two seats are still required, then a second seat can be purchased at that point. We love this sensible modular design. We also had a good look at the UPPAbaby Cruz. We previously owned a Cruz. We loved the big seat and the huge basket. However, we struggled with the poor suspension on our older version. However, the suspension has been altered since we had our Cruz. The wheels are different too, and we would love to take a closer look this year if we are able to. 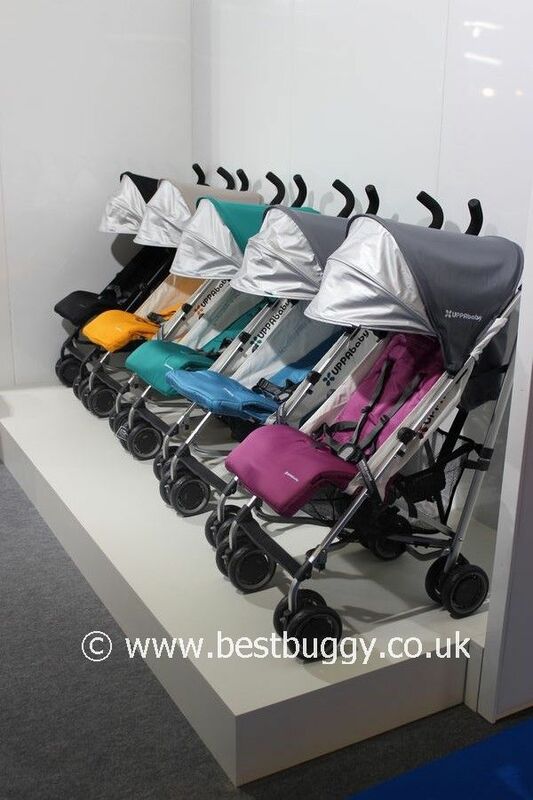 The UPPAbaby G-Luxe was also on display in pretty jewel colours. We love that the G-Luxe will freestand when folded. The UPPAbaby pushchairs are gorgeous quality, and it is easy to see why these pushchairs are so popular. We thoroughly enjoyed using our Vista at the show. Master BB is 4 and a half (100 cms tall) and he looked very comfortable all day. Just look at how much we could easily fit into the enormous basket! We can’t wait to get the Rumble seat on, and to use our Vista in tandem mode in the coming weeks. We suspect that the new 2015 Vista will not be leaving BBHQ in a hurry! It is fantastic so far.